Airbnb hosts beware — the Manhattan Housing Court has ruled against a tenant who listed his Hell’s Kitchen apartment on the popular short-term accommodation site. Henry Ikezi, 35, now faces charges of profiteering and must vacate his two bedroom penthouse by the end of the month. The February 17th ruling was the first instance in which a tenant was evicted without a prior warning. Ikezi’s apartment was rent-stabilized — he was paying $6,670 a month for a unit which was valued at over $9,000. On Airbnb, it was listed for $649 a night, which could have potentially generated Ikezi nearly $20,000 a month. Justice Jack Stoller stated that using the apartment for short-term rentals “undermines a purpose of Rent Stabilization Code.” In most instances, tenants are prohibited from subletting without the written consent of their landlord — which means that a listing on Airbnb could be grounds for eviction. 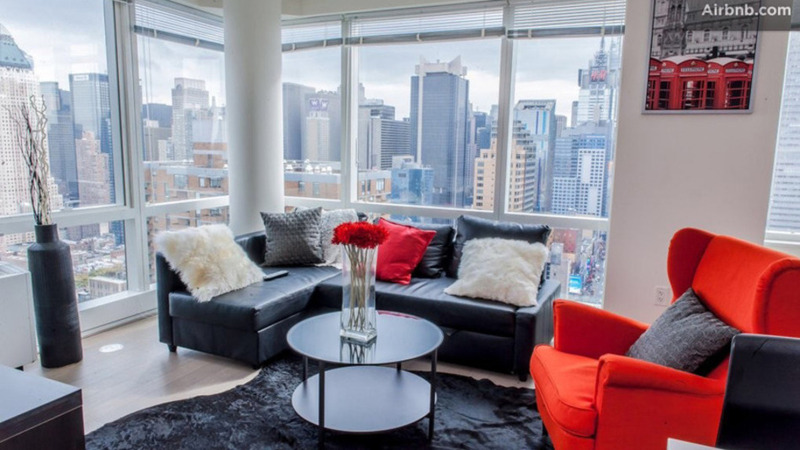 There are currently over 35,000 listings in New York City on Airbnb, which equates to about $304 million dollars in annual revenue for hosts. Renting out a home, apartment or room for less than 29 days is illegal in the Big Apple, and landlords have begun taking a harder stance against tenants who disregard the law. Want to know more about the legality of Airbnb? Check out our story on how the 10 biggest US cities are handling the new sharing economy.